That’s what he’s thinking anyway. Here is a bit of silliness for you. 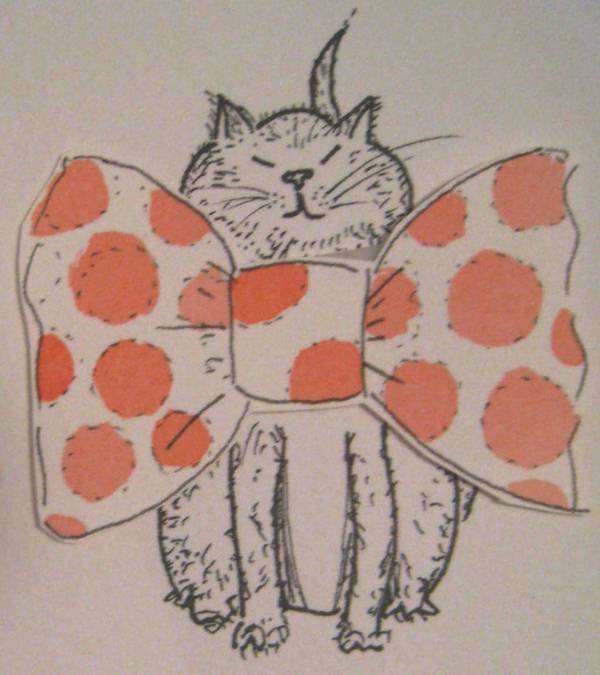 A while ago when I playing around with my new pens and inks I drew this spotted bow-tie and then a cat, looking what I think could be called, supercilious. Couldn’t think of a decent name for him… maybe you can?